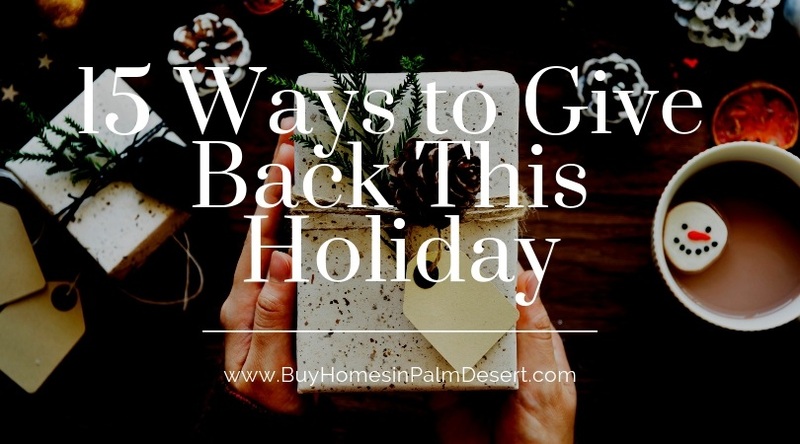 We're always looking for ways to be more generous with her time and our resources so I thought I would compile a wonderful list of holiday giving back things to do for you and your family. #1. Bake cookies or meals for elderly neighbors. #2. Pack stockings for homeless people. Consider adding granola bars, water bottles, toothpaste and toiletries, warm gloves, deodorant, and maybe a couple of bucks. #3. Donates old toys and games. #4. Visit a nursing home, sing Christmas carols, take cards and decorations, possibly a few little gifts. #5. Adopt a family with local organizations and religious groups. #6. Donate to the food bank. #7. Bless a single parent with gift cards for their kids or presence. #8. Take employees out to lunch for the holidays. #9. Serve a holiday meal at a soup kitchen or shelter. #10. Roundup near empty gift cards and called local schools and shelters to see if they want them. #11. Donate your time and resources to public libraries and schools this time of year. #12. Ask if your employer offers donation matching for charitable donations this time of year. #13. Consider giving blood if you've never done it before. #14. Get to know your neighbors by shoveling a walkway, signing for a package, or leaving a beautiful potted plant on their porch. #15. Send holiday cards to soldiers. There are a lot of ways we can give back and a spreadable Christmas cheer this holiday season. Have something you'd like to add? Leave a comment below and I'd be happy to add it.